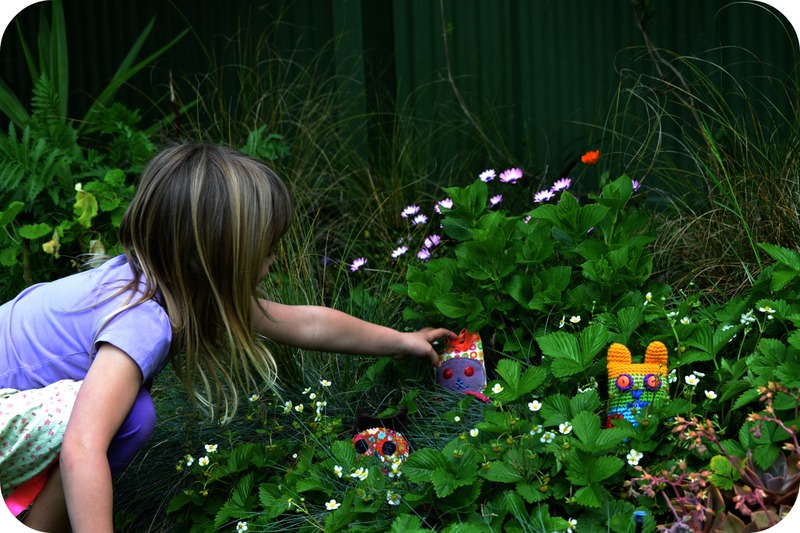 She’s a pretty little cat who loves to hang out in the garden… hiding amongst the flowers. 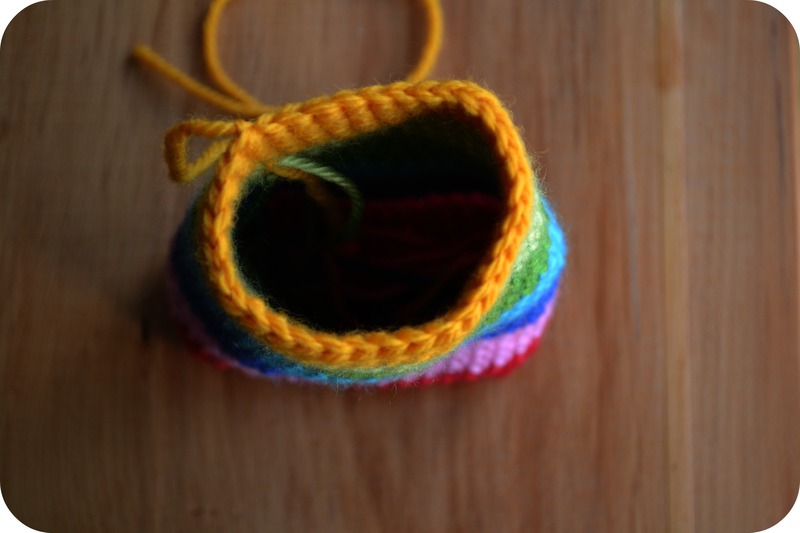 A small amount of coloured yarn and a corresponding hook. Caity was made using DK (8ply) yarn and a 3.5mm hook. 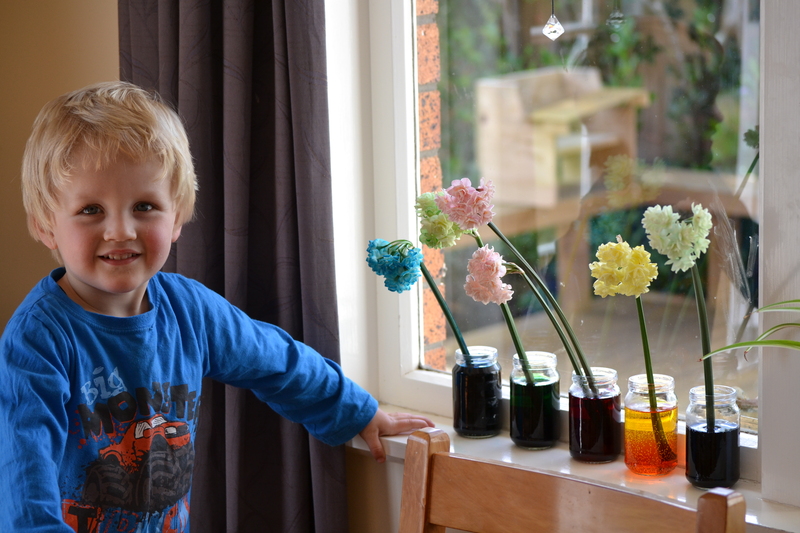 The flowers are made using a 3mm hook. Two buttons for eyes. 1. Begin by making the base of the cat. Chain 15, turn and single crochet (sc) into the second chain from the hook and in every stitch across. Chain 1 and turn, sc in every stitch across- repeat until you have a rectangle 8 rows wide. 2. You will now be working in rounds. At the end of the seventh row continue around your rectangle working along the short end putting an sc into each stitch, then sc in each stitch along the opposite side and along the last short end. 3. Continue working in rounds – do not join at the end of each row just work continuously around your retangle. Work four rounds in red, change colour and work four rows in pink. Change colour and work 1 row in blue. On the next row sc 2 together once at each end of your cat (reducing the number of stitches in the round by 2). Exactly where you do this isn’t hugely important, but try for the middle of each side. Continue round 3 and 4 in blue sc in each stitch around. 4. Fasten off dark blue and change to light blue. Round 1 sc in each stitch around. Round 2 decrease two times (once at each end: sc 2 together). Round 3 and 4 sc in each stitch around. 5. Repeat this same pattern for the two green bands (decrease twice -once on either end – of round two). Join yellow and sc around 4 times – do not decrease. Fasten off, leaving a long end. 6. Next make two ears. Using yellow yarn chain 4, join with a ss to form a ring, use a split ring marker- do not join again. Sc two times in each stitch around (8), Sc 2 in the first stitch 1 sc in the next stitch, repeat around (12). Sc in each stitch around 3 more times. Fasten off leaving a long end to sew ear on with. Repeat to make another ear. 7. 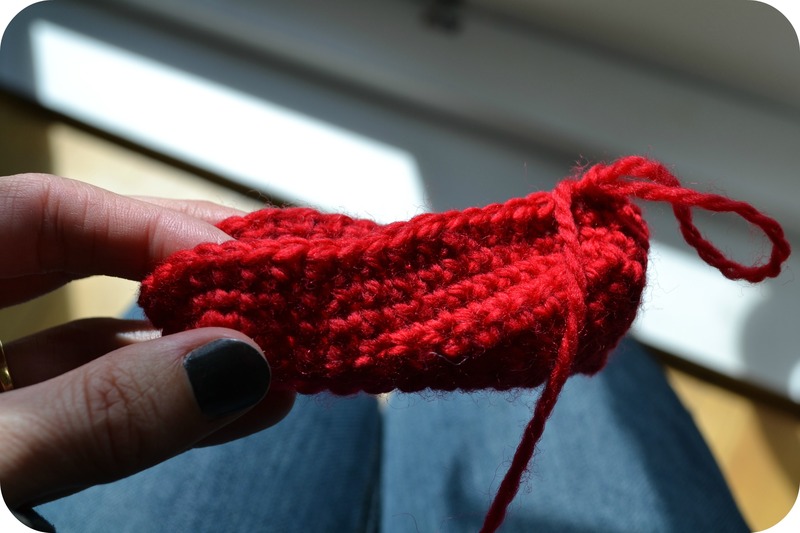 Make a tail- sorry no photo for this, but it’s pretty easy. Chain 50, turn and sc in second chain from hook and in each stitch across. Repeat so you have a long tail four rows wide, the tail will naturally curl up. 8. Finishing. 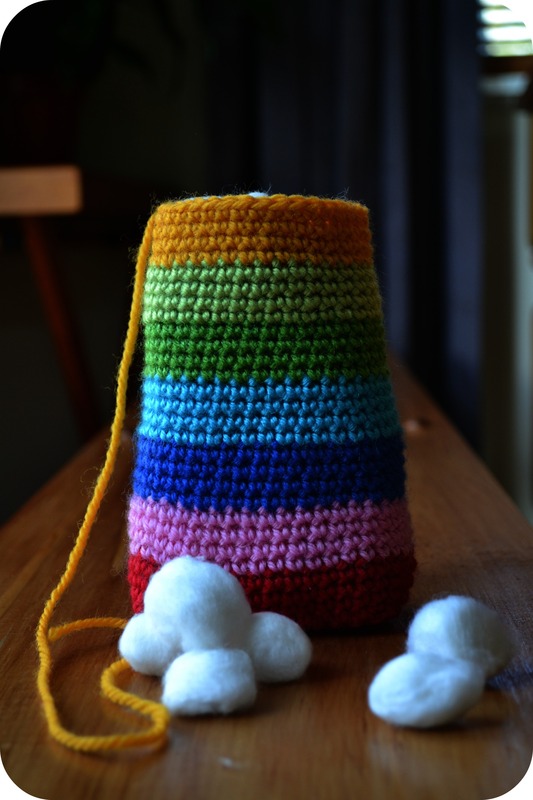 Stuff cat body – I find the best thing for stuffing crochet toys is cotton wool balls. Sew closed the top opening. Attach ears and tail. Eyes: Sc 5 times and join to form a ring. Round 1, Sc 2 times in each stitch around. Round 2, Sc 2 times in first stitch, one sc in next stitch, repeat around. Fasten off, repeat to make another eye. Sew button into centre of eye and attach to cat. Embroider nose and mouth in a cat like fashion. 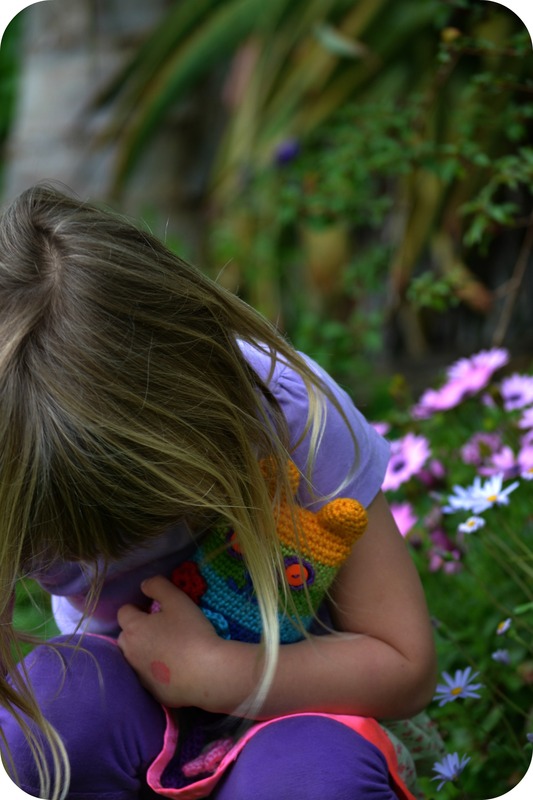 Because Caity loves flowers she is decorated with crochet flowers- and there is even one on her tail!!! Small crochet flowers: Chain 4 and join to form a ring. 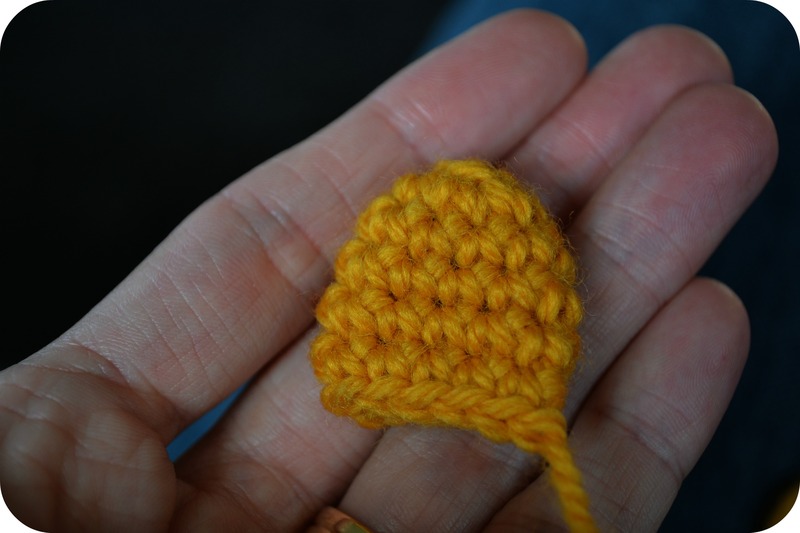 Half double crochet (hdc) 10 times into the ring, and join with a ss. Hdc 3 times in the next stitch, ss into the next stitch, repeat around forming 5 petals. Make three flowers in different colours and sew onto cat, the flower stems are simply chains, with leaves embroidered as I sewed the chain to the cat. Large crochet flower (for the end of Caity’s tail): Chain 4 and join to form a ring. 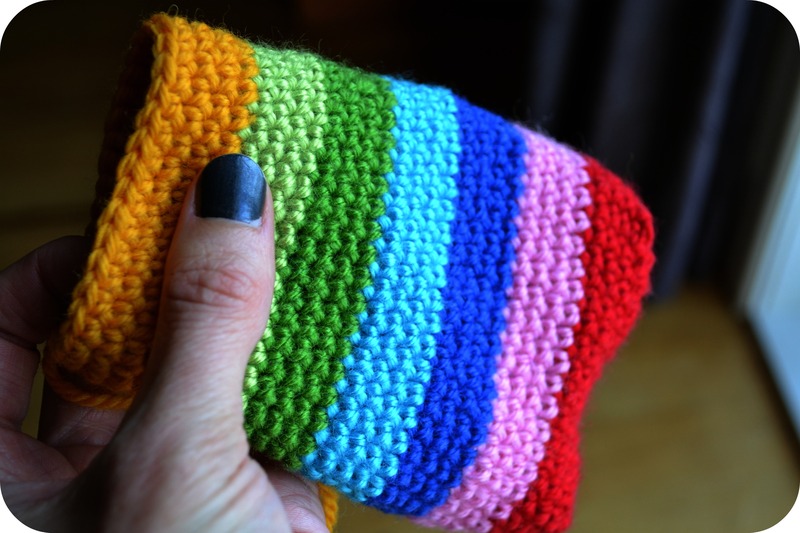 Half double crochet (hdc) 10 times into the ring, and join with a ss. Hdc 5 times in the next stitch, ss into the next stitch, repeat around forming 5 petals. Sew onto the end of tail. …with her special friend Maia. Hope you are having a fun weekend! How precious and simple!! Wonderful Christmas gifts for children. Thank you for sharing your talents!! Thanks Christina,, do send me a pic if you make some I’d love to see how they turn out! This is adorable. Thanks for the pattern. My niece has a preemie, and she (my niece) asked me to make some small toys in vivid color for the baby. I think this will be so nice to add to her toy box. This is such a cute little cat! Thank you for sharing. Grazie per averlo condiviso e ti invierò le foto…. So glad you liked her, Id love to see the photos when you are done! Muy lindo!!!!!!!!! !, voy a empezar, es facil, quiero mimarlo y tenerlo cerca!!!!!!!! Hi there, I absolutely love this cat…made one for my grandaughter with jewels all around it, sorry forgot to take a picture…I just finished another in bright colors and embroidered flowers on it. I would post a pic of it but don’t have a clue how to do it. 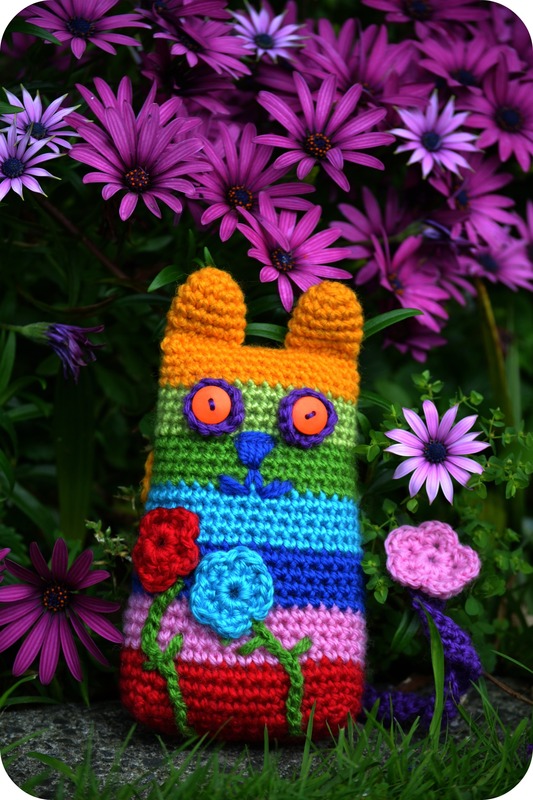 Thank you for sharing…this little cutie can be decorated in the coolest ways…and so simple and fast to make up….the personality that one creates for it takes longer than the actual crochet work lol. Super little pattern. This looks beautiful…..it goes on my ever growing list of things to try!! Thanks so glad you liked it!!! Guess what my baby grandsons are getting for Easter! Great pattern. 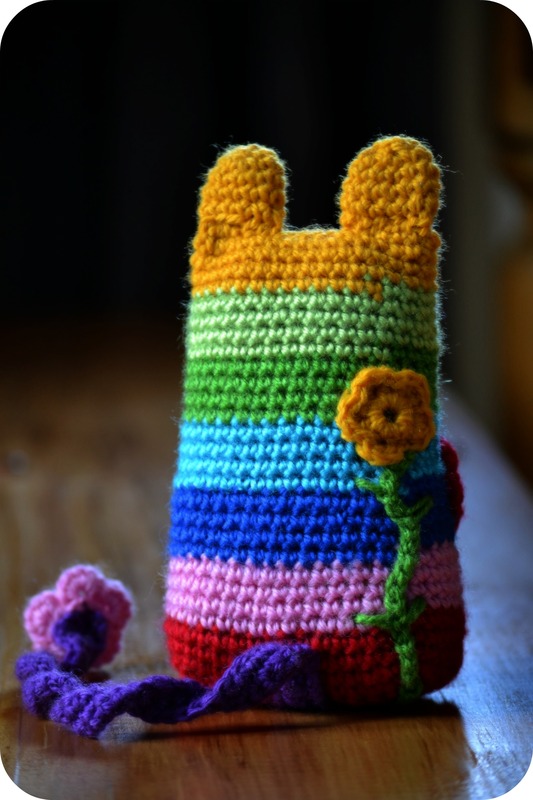 Thank you so much for your generosity in sharing your patterns – the adventurously striped and flowered cat will be the first I´ll try, utterly lovely! What are cotton wool balls? Are they like regular cotton balls? 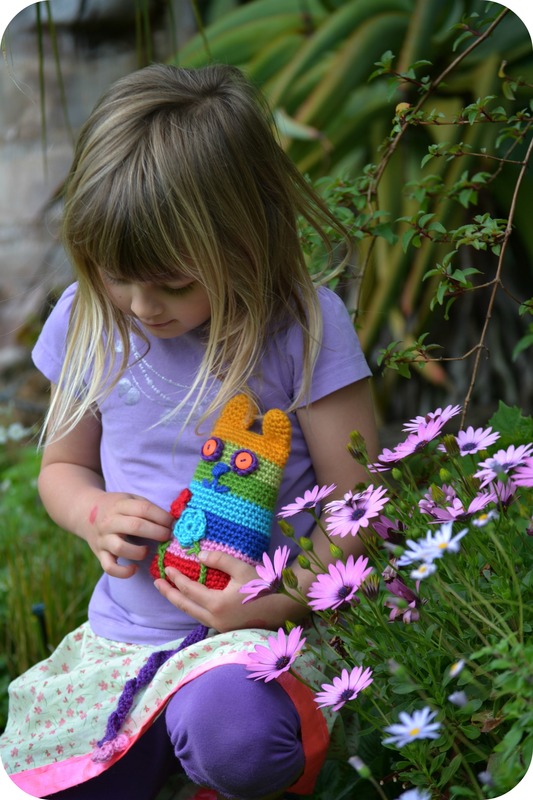 Thanks for sharing the pattern for Caity Cat. Just finished one for my neice. The pattern worked out beautifully. Me encantó !!!!!!!!!!! lástima que no sé traducirlo y no encuentro traductor aquí…voy a tratar de hacerlo mirando y te cuento !!!!!!!!!!!!! Muchas gracias , está muy lindo!!!!!!!!!!!! That’s ok I used google translate- you’re welcome! I happend to find your Caity cat and that will be the most precious gift for my cat-loving cousin, thank you so much for sharing! This is so cute.. I am delighted to find The Green Dragonfly! Thanks for the tutorial! This is so cute. What a little sweetheart! (and Maia too) I guess I could dust off the crochet skills if I had the time, but I spend my days blogging- silly me! I do get out, too. Thanks for your visit. I love your cat and currently am making my first one. However, I did some mice-creatures after your idea a short while back when I needed a quick gift for my three beading friends and had to work up something in one evening. Your basic idea was used for a smaller variation, but I still love your Caity so much that I will now spend fall evenings to crochet a real one. lovely pattern and thanks for sharing it with us. I love this cat pattern! I’m going to begin making one right away. Thanks for sharing!! Thank you very much for the tutorial. and another adorable Crocheted Kitty!!! Thank you so much for the tutorial. I’m new to crochet. It was easy to understand, and now my little one has an adorable new animal. I stuffed hers with a muslin bag full of lavender with a little rosemary. I finished it at night and stuck in on her pillow as a surprise. She was so happy and just loves it. Thanks again!! Im so glad you liked it, and what a great idea to use herbs inside!!! I love your work. It is beautiful and colorful and wonderful. Thank you for posting the patterns. My grandchildren will love the cats I am going to make them. I thank you for the opportunity to do something so lovely. 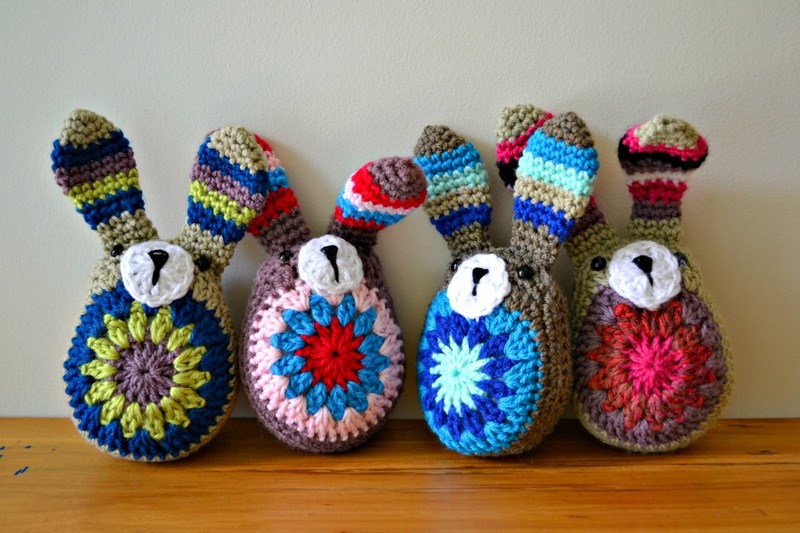 Soooo cute, I will have to make one, I love the colors you used. 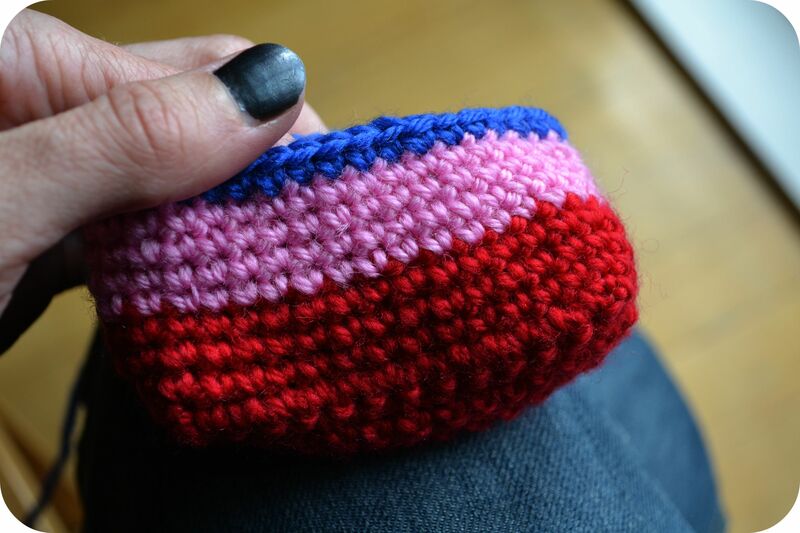 hi, very cute pattern, i have some cotton yarn in bright primary colours i unravelled from a kids stripey next jumper – know I know what to do with it, will post pics when I make it (when other stuff on list finished)! thanks for sharing. Thank you for so many more ideas – just absolutely wonderful. I love making little presents for my friends and this gives me some little gems to pass on. Thanks a million. I love this kitty! I’m making one in hunter green and maroon for Christmas. I’m thinking about tucking a potpourri sachet inside and accenting with ribbon and a jingle bell around the neck. These will be adorable for my Sunday school teachers. I made Caity Cat for my ADULT daughter! She adores it. It turned out so well. Thanks again! Pingback: Meow! 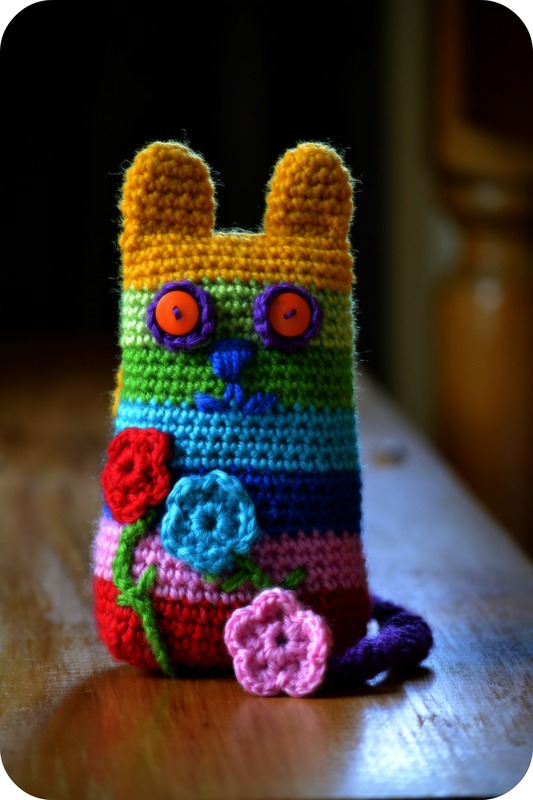 Crochet Kitty Cat two-four – Free Pattern Friday Round Up! So now I have another soft animal to make for my “kids”. Don’t you just love the bright colors! Perfect for a pre-k classroom but first let me finish Pete the Cat. Hi…Love the kitty! I’m making on for myself as I had to move to Assisted Living where they won’t let me have my cat. My daughter has her now. Your kitty will be a great comfort. How tall is your kitty? If she’s not too big, do you suppose I continue making her bigger by adding more rows? Your color scheme is gorgeous! I got to thinking & realized I’ll have to make my kitty wider so she’ll be proportioned correctly. I’m 67 yrs old & have been crocheting most of that. Do you think it’s silly for me to have the kitty for comfort? I just read your comment and want to say that I don’t think it is silly at all that you want to make a Caity Cat as comfort. I actually think it is a perfect and lovely way to cope with having to part with your real cat. I made this crochet cat for my cousin when she was battling breast cancer and since she is a cat lover, it was the best gift I could have made her. She is all well now, but still loves the cat. I made the cat bigger, too, and started with a dozen more base rounds and added more in height until I saw it fit. With your experience in crocheting, I don’t see any problems! 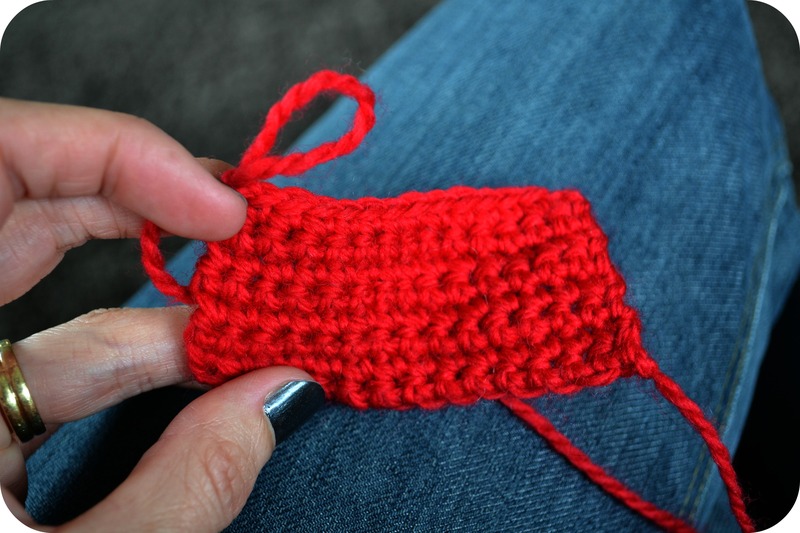 One more question…Did you use Sugar & cream yarn or a crochet thread, say #3? Janette, I bought some cotton balls & tried not to over-stuff my cat & it’s working out great! Thanks for your input. Did you make a cat? How is it? I bought a button shaped like a heart that I’m also going to sew to the left side of her chest so everyone will know she’s a loving kitty. The heart sounds like the perfect touch!